Natural oral healthcare products are certainly popular among our customers and we stock a wide variety from toothpastes to mouthwashes. Our natural toothpastes are free from sodium lauryl sulfate (SLS), which is a detergent-based foaming agent. A lot of the natural brands tend to contain a coconut-based foaming agent instead. Other ingredients that you might find in natural oral healthcare products include fennel, propolis, aloe vera and echinacea. Fennel is an alternative flavour to peppermint but is also very soothing and healing for the gums, propolis helps to keep bad bacteria at bay while aloe vera and echinacea are particularly good for sensitive gums. Some natural toothpastes and oral care products contain xylitol, which is a naturally occurring sugar that has been shown to help reduce the incidence of dental cavities. This is also available in chewing gum form. Many of our customers are interested in the fluoride debate. There is one school of thought which says that fluoride is toxic, may contain lead and arsenic, and is an industrial waste product that should not be put into our bodies. Some studies have indicated that fluoride can even lower a person’s IQ. On the other hand, many dentists argue that it is necessary to keep your teeth strong and healthy. There is so much information out there about this topic that it can be difficult for the general public to make an informed decision. We therefore take the approach that we present both sides of the argument and allow our customers to make their own minds up. We stock brands that contain fluoride and also ones that don’t. We find that a lot of our customers come to us with problems with their mouth that are often associated with another part of the body, usually the digestive system. Quite often, we find that people have cracks or sores in the corner of their mouths or on the tongue, and that normally indicates a vitamin or iron deficiency. In this case we would recommend a good quality multivitamin that is high in vitamin B, maybe some digestive enzymes or a probiotic (especially if we see a yellow coating on the tongue) and coconut oil, as this is a great natural antifungal moisturiser that can soothe the whole mouth. We would also recommend a good multivitamin to anyone suffering with mouth ulcers, as well as a natural mouth gel based on hyaluronic acid, which will help to heal and soothe the problem. In terms of mouthwashes, we stock a good aloe vera and tea tree product, but we are finding that oil pulling is becoming an extremely popular way to cleanse the mouth. This involves melting some coconut oil in the mouth and swishing it about, passing it through the cracks in the teeth. Coconut oil is antibacterial and can help to dissolve plaque. It is also very good for cleaning and whitening the teeth. Another popular method for whitening the teeth is the use of activated charcoal capsules. These are reputed to help remove toxins from the mouth while removing stains from the teeth. Lastly, I would highly recommend co-enzyme Q10 for supporting the health of the gums. As we age, our gums tend to recede – hence the term ‘long in the tooth’. Co-enzyme q10 is particularly good for addressing this problem as it helps to tighten the gum area. Your local independent health food store offers a wide range of natural oral healthcare products and we are always on hand to offer help and advice with your choices. Nature’s Remedies is based at 6 Market Street, Southport, Merseyside, PR8 1HH. 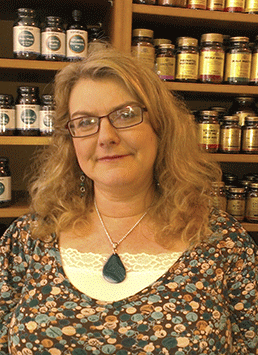 This independent health and wellbeing shop has been managed for the last three years by Carol Henshaw, together with her daughter Katie and, between them, they have over 20 years’ experience in the natural health industry. The store stocks a wide range of vitamins, minerals and supplements as well as whole foods and natural bodycare products. There is an associated treatment centre offering a wide range of therapies, from holistic facials and massage to hypnotherapy and Bowen technique.